Do you prioritize empowering and educating youth? If you dream of developing children and adolescents then you’re in the right place! 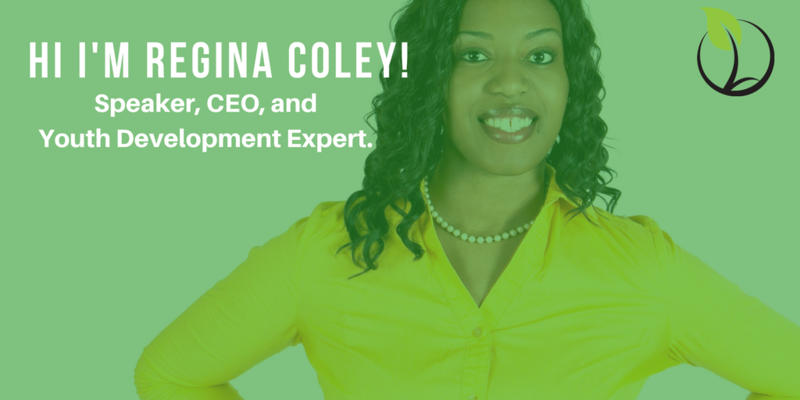 ReginaColey.com is all about inspiring, teaching and supporting Cultivators™ from around the world to empower their children, excel in education, and succeed in life. I also give away a TON of advice on how to educate, elevate, and enrich the lives of youth and young adults. I support parents, homeschoolers, educators, and Eduprenuers. My name is Regina Coley and I founded Leading Ladies of Legacy in 2011 after having seen a need in my local community for more girls needing guidance on how to be ladies and embrace their confidence. I chose the youth development program creation route because I’d witnessed over the years programs use their safe space and time to amplify ideas, advocate, and grow a community. The first few years dragged on because honestly, I had no idea how to start and run a program; I taught in the classroom and made an assumption that it’d be the same skill different environment but I was wrong. After figuring out what created the greatest impact for youth and seeing and tracking impact I decided I wanted to commit myself to my organization full time – not knowing that that decision would change the direction of my life in many ways. My first-year full time I grew my program attendees from 22 girls to now being a school contracted program having served and spoken to 1000+ girls and counting. Working with these girls gave me the confidence to start numerous other niche-focused businesses which in the hope of paying for my living expenses I started to teach myself to make money from. Now I have the flexibility to work from home with my six children and run my youth empowerment business! I started this blog as a way to share what I was learning about youth, education, parenting, homeschooling, mentoring, and program development and in the hope of meeting others on the same journey. I also love to share stories of being a mom of my own large family of six, the spiritual gift of teaching, purpose, and the arduous process of leadership in our homes and community. While a blog about youth development may seem a little strange – it turns out that many others shared my dream of making a living by doing what they love without the constriction of a classroom setting, writing and speaking on topics that they are passionate about and this blog is quickly growing to be a center for learning for more Cultivators™ from around the world. This is now so much more than a blog. The blog itself has almost 100 articles, tutorials, and youth resources but on this site you’ll also find my new podcast Called to Cultivate™, a series of helpful ebooks and courses– plus much more. Most new readers to my blog come with the dream of building an income from empowering but also with one of a few common needs or challenges. I recommend the most comprehensive way to get involved is to register for the Called to Cultivate Youth Program Development Masterclass™. You can find out more about that program HERE. I would also recommend joining the Called to Cultivate Community™ which is the monthly membership training portal. You can find out more about that program HERE. If you just want to explore on your own check out the Called to Cultivate™ podcast. Also, a popular page on my site is my Recommended Resources page which contains all of my recommended business and blogging tools, services, and apps to help you keep your empowerment business running smoothly. If you work with youth and are looking specifically for youth resources be sure to check out My Shop! Are you planning an event targeting youth and young adults and need a speaker or workshop presenter? Hop on over to my Speaker Page. And if you’re a parent you’ve got to download the EMPOWER Your Child E-Book. The best way for you to stay in touch with me is to subscribe to my free weekly newsletter. It is filled with the latest tutorials, podcast episodes and other news from this community.